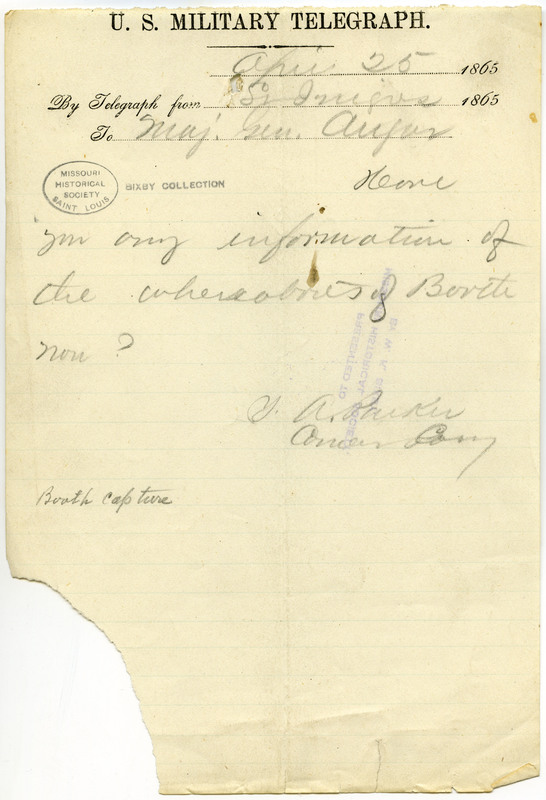 States, "Have you any information of the whereabouts of Booth now?. . . ."